I am currently looking into make some snow globes and I would like to bond the acrylic insert of the snow globe with the metal top. Does anyone know a glue that can bond these two materials together? I have tried superglue and it did not hold when I put the cap on the globe. I have acrylic epoxy but it says that is dangerous to come in contact with metal. I would recommend a hot glue gun for gluing these very dissimilar materials. Hot glue gives you a bit of work time to get the pieces situated correctly, and it works phenomenally well for holding tight even if the two materials may not mate together perfectly. I have never built a snow globe from scratch, but I've repaired a few, and this is exactly what I used to re-afix a snow globe that came lose from its stand. There is a product called pl. I don't actually know of something it wont hold together. Finding a craft friendly applicator might be tricky. Not the answer you're looking for? Browse other questions tagged acrylic-glass metal or ask your own question. 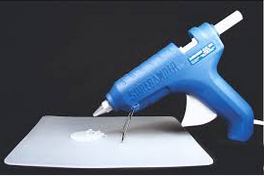 Are there toxic concerns with using a heatgun/torch on plastic/acrylic? Where can I find 1/2" thick colored acrylic?